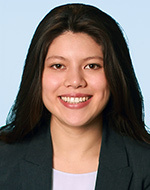 Adelina Qian Schmidt has joined Birmingham-based Quarton International, an global middle market investment banking firm, as an analyst. Schmidt will support the execution of merger and acquisition transactions and capital raising, create comprehensive financial models, conduct company and industry research, and interface with clients, prospects, private equity firms, and industry contacts. Previously, Schmidt worked at PricewaterhouseCoopers and JP Morgan Chase. She holds a Bloomberg Certification in Equity Essentials and is fluent in Mandarin Chinese and proficient in Spanish.